Our Chef Recipe Series with Catherine Fulvio “The Italian Job” is in full swing. Catch up on the rest of the series, just simply subscribe to our YouTube channel here. 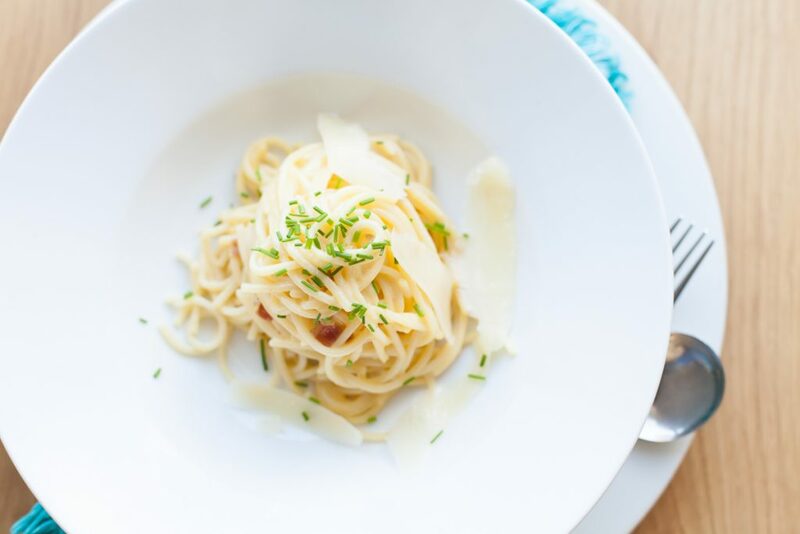 In this episode Catherine will showcase a classic Spaghetti alla Carbonara. Meanwhile, heat a frying pan and sauté the pancetta until golden brown. Drain on kitchen paper and set aside. Combine the egg yolks, most of the parmesan and some pepper in a large bowl. Add about 200ml of the cooking liquid to the eggs and whisk together. Tip the spaghetti into the pan. Add the pancetta, toss in the egg mix and heat gently. The eggs will emulsify to a creamy sauce. To serve add the remaining parmesan and more black pepper.